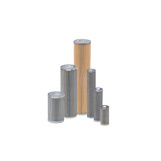 PTI Technologies metal filter elements begin with our proprietary 421-brand random fiber depth media. PTI’s 421 media is made from very small fibers, which are annealed and compressed to exacting specifications. The media is available in 316L stainless steel, and also other specialty alloys, such as Hastelloy R.
Because we make 421 ourselves, we don’t have to rely on “off-the-shelf” media to solve our customer’s problems. 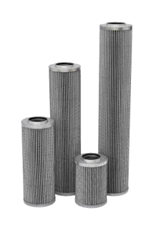 Instead, we are able to match our customer’s needs to very specific filtration solutions. Many times, we will create a custom media for a given customer application. 421 media offers much higher porosity than woven wire cloths or sintered powder media, and in fact higher even than competitive random fiber media. This results in low pressure drop, high contaminant capacity, and long on-stream life. What’s more, 421 elements are cleanable and reusable, so they’re even friendly to the environment. Click here for an online copy of our brochure, and more details about this remarkable filtration media. PTI Technologies’ Double Sintered media maintains the high porosity, low pressure drop, and extended on-stream life of our original soft sintered 421 media. 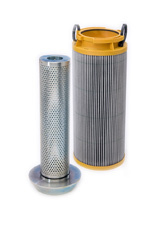 In addition, double sintered media offers an increased resistance to media compression, which can occur at differential pressures that exceed 1000 psid across the filter elements. This media design provides the proven advantages of our soft sintered media with increased durability, resulting in the longest on-stream life, while still offering exceptional filtrate quality. 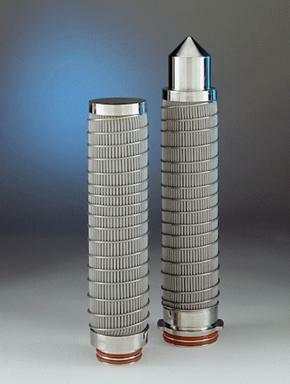 PTI’s latest innovation in filtration media technology is this unique grade of double sintered media. VS-grade 421 offers all of the advantages of our double sintered media – resistance to media compression at high pressure, high porosity, and long on-stream life. Then, VS media goes a step further. Most depth medias capture a fairly high proportion of particles that are smaller than the media’s rated efficiency. For example, a 40-micron depth media will still capture many 20-micron particles. For many applications, this means that the filters load up sooner than they need to, since the small particles are not a threat downstream. VS media lets more of the smallest particles through, while maintaining their absolute-rated efficiency. 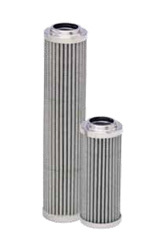 This means the filter elements can last longer between changes, saving cost without adversely affecting the quality of filtrate. For those applications where depth media is not the right solution, PTI offers filter elements featuring a wide variety of woven wire mesh screens. These include square weaves, plain Dutch and Dutch twills, and unique weaves developed for optimum filtration performance.